Many tenants now want creative, cost-effective spaces outside the CBD. The former Marshall Field’s complex in Logan Square is now The Fields, a 1.5-million-square-foot mixed-use complex. CHICAGO—One of the city’s most ambitious redevelopment projects now has an anchor tenant for its office space. 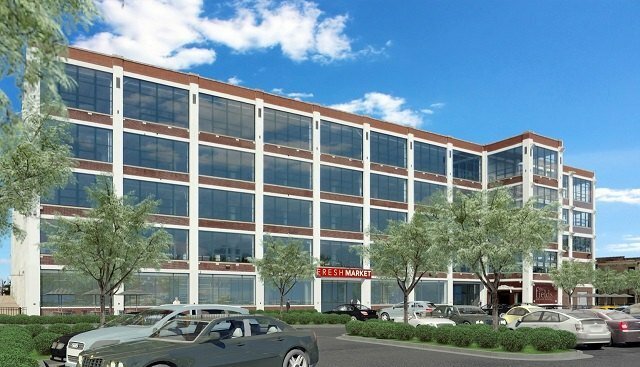 In another sign that the office market has grown beyond the confines of the CBD, Merit Partners and Cushman & Wakefield say that Crate and Barrel Holdings has leased 117,000 square feet of office and production space at Merit Partners’ The Fields redevelopment. Crate and Barrel plans to utilize the space for photo and video production.